FinAtics Fishing Charters offers exciting and fruitful Dauphin Island deep sea fishing trips catered toward the entire family. We take pride in our fleet of safe and new Dauphin Island fishing boats. 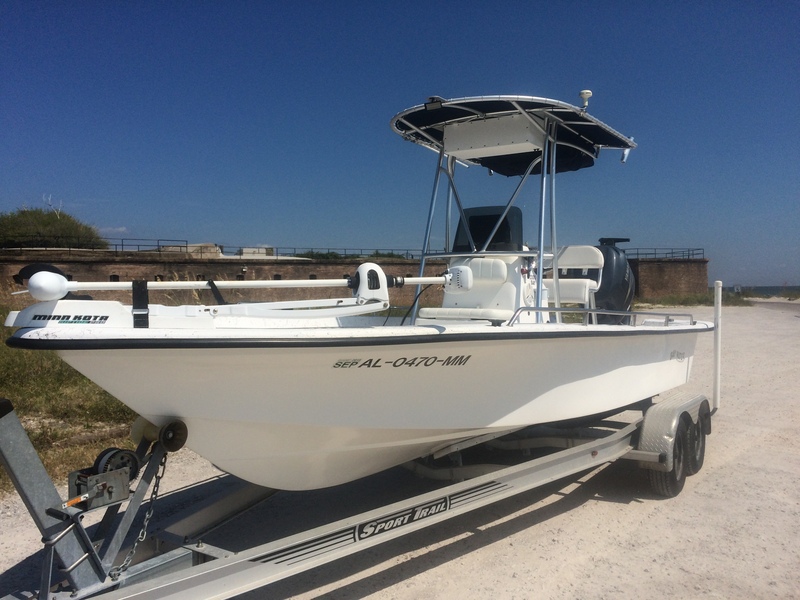 Backed by years of experience, our guides provide you with some of the best fishing boats for local fishing charters in Dauphin Island, AL, as well as Spanish Fort and Mobile, AL. Check out our charter vessels! Our fully loaded Avenger 26 is top of the line. Powered by a Yamaha 350 outboard motor, Onboard radar, VHF, FM radio, 16 in Simrad GPS/Bottom Machine, Twin 10ft power poles, 36 volt mine Kota trolling motor. Has large bench seat, onboard drink cooler 3 live wells and 2 large fish coolers and large T-top for shade. Make no mistake, she’s a perfect Dauphin Island fishing boat. Packaged with 2 brand new 300HP Suzuki outbouards, our federally permitted 29ft ProKat will get to any fishing area safely and efficiently. Performance is a major plus for the catamaran, but space on the fishing deck is the ultimate advantage. Let’s take her out and find some Red Snapper, Tuna, Amberjack & King Mackerel along with other species. She loves to get wet! 2008 Bay Water Bay Boat 1-3 anglers Max. 250hp Yamaha 4-Stroke motor, 12″ Garmin GPS W/Sonar, T-top, 2 live wells, Minn Kota trolling motor. Drink Cooler and large fish box. Large fishing deck and plenty of dry storage. 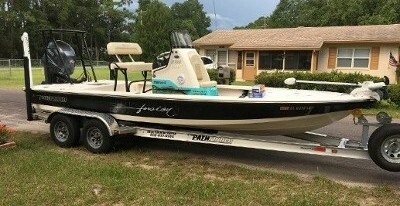 Powered by 150 Yamaha, 24 volt motor guide xi5. 8 ft power pole, Lawrence GPS/Bottom Machine. Seating for 3. 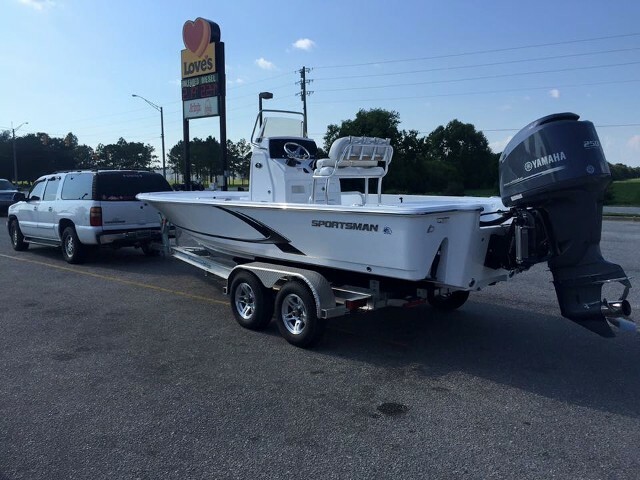 2015 Sportsman Tournament 234 Bay Boat 250hp Yamaha 4 stroke, Raymarine GPS and Sonar with Motorguide GPS trolling motor. Plenty of room with great seating. up to 4 people.